Week three of the NFL season sees the Arizona Cardinals pay a visit to the New Orleans Superdome to face the mighty Saints. Unfortunately for my Gameday Beers series, getting some Arizona beer over in the UK has been pretty impossible so I had to think outside the box a little. 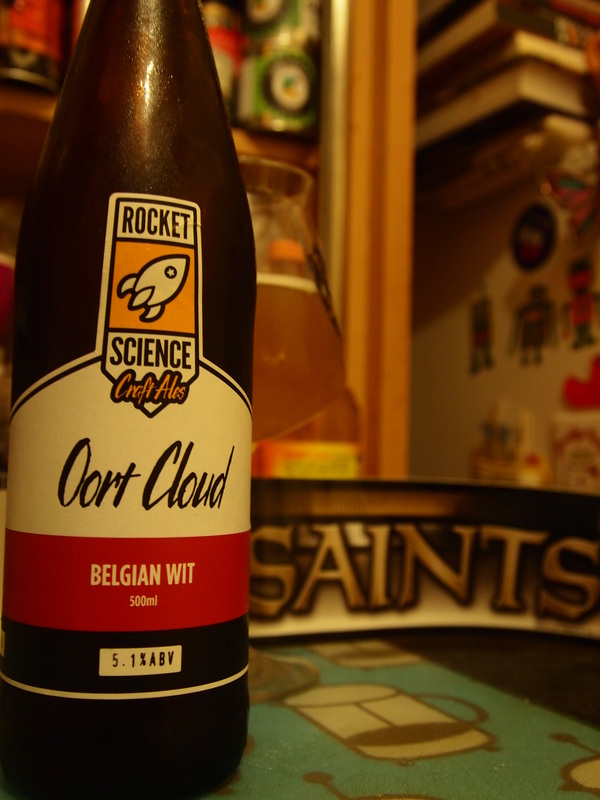 This week I’ll be torn away from my game at half-time as I set out to the local theater to see a live performance of the awesome radio adaptation of The Hitchhiker’s Guide to the Galaxy so I figured instead of a game-related beer, I could get away with something a little different this week and go for the space-themed Belgian Wit, Oort Cloud (5.1%ABV) from relatively new brewery Rocket Science. Since I’ll be taking-off to the theater very shortly and I have one eye on the game, I’ll need to keep this blog brief. Out of the bottle, it looks like a typical Wit, cloudy and golden yellow like a field of corn but it’s got a really fresh aroma with pine and grapefruit – very lively compared to some Wits I’ve had. The slight carbonation really opens up the banana sweetness combined with a slight hint of herbs and bitter lemon. It’s pretty light for the style but super-refreshing.